Even though the weather was blustery and rain threatened, there was a reasonably good sign-on for the Club Championship TT. 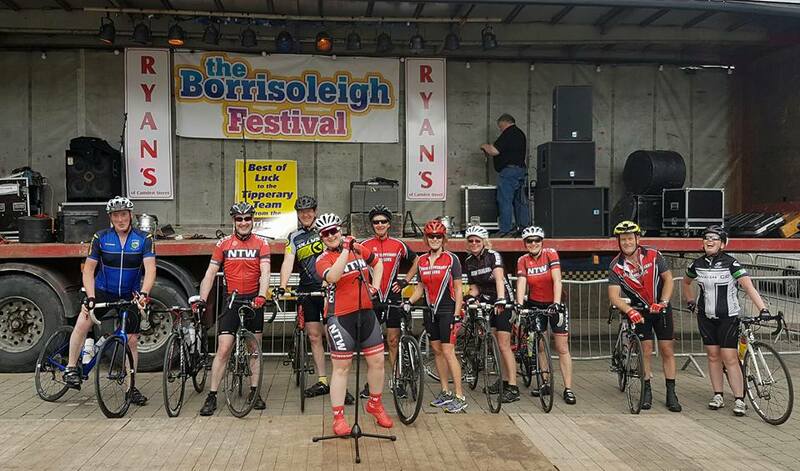 The course was the same as last year – Birdhill to the first Nenagh roundabout and back – a distance of 18.5 miles. On the way into Nenagh, they had the strong wind behind them but the return journey was a different matter! Amazingly, in spite of the weather all times improved from last year and it was Eamon Hartnett who stormed across the line in the fastest time with John Foote a close second and Pat Bergin in third. When the time adjustments were made however, Eamon took third place while Shaun Payne captured second and Kevin Byrne, who has been improving steadily all summer became the 2011 Club TT Champion. Well done to all the contestants and a special well done for turning out on a miserable morning! It was a miserable day for a race – wet and quite windy. And the problems started before the race even began! On the way to the start, there was a crash involving six riders. All got up and continued, contesting the race but afterwards, it was discovered that jim Carey, who had ridden to a 7th place, had broken a bone in his hand. The riders started in three groups according to handicaps and nine riders from all three groups combined to make a very exciting sprint with Eamon Hartnett claiming third just behind second place man, Shaun Payne while Pat Bergin took the win at the head of affairs. Thurday is the Flying Mile – the last evening race of the season – and next Sunday is the Club Championship Time Trial. Shane Scully - race winner. The road race held on Sunday 24th July was held in rather miserable conditions although it did manage to stop raining for the actual race. The route was from Birdhill to the Five Alley and the riders left in three groups according to current ability. The ever-improving Mikey Connors took third place while Duncan Hodgins just lost out to John Spillane in a very exciting final sprint. This was John’s first win for a while and we were all delighted to see it. Once again, well done to all those who took part after turning out on such a dirty morning! John Spillane storming to a win in the 9 mile road race.